The Ecosystems photobook was a collaborative project, between a photographer, an ecological economist and the Department of Typography and Graphic Communication at the University of Reading. 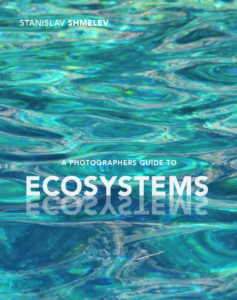 The photobook was designed to illustrate different ways communities connect with ecosystems around the World through the eye of a camera lens. 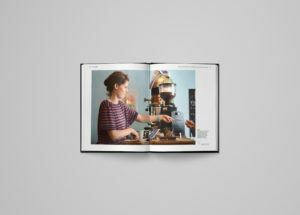 We were approached by James Lloyd, real jobs coordinator, to design this photobook. 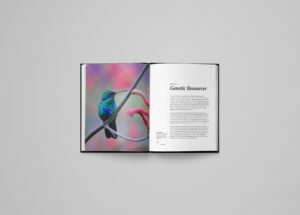 After reading the brief and researching the client, we were immediately attracted and believed our combined knowledge of photography and science would give us a good foundation to work from. Our client, Dr Stanislav Shmelev was eager to begin the project, so an initial Skype conference call took place only a few days after. During this call, we gathered more information about the project, asking questions to enable us to develop a creative proposal. It was during this call that we discovered Stanislav had already began work on this photobook and had a clear vision for the final product. He had influential books to show us, paper samples from interested publishers and text written by an ecological economist, Dr Joachim Spangenberg. 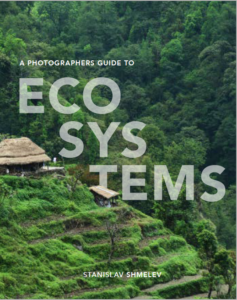 It was clear that we would need to meet in person to discuss these visions for the book, and work together to select the best photography to convey his message. Therefore, we organised a meeting in Oxford shortly after. The first meeting with a client is essential to develop a good working relationship, so to prepare for this meeting we explored Stanislav’s photography, gathering images as instructed for each chapter. We undertook some further market research, exploring what else has been published in the field, investigating book formats, topics discussed, and the handling of text and image. This enabled us to arrive at the meeting prepared, ready to initiate further discussion and the brainstorming of ideas to enable Stanislav to achieve his end vision. 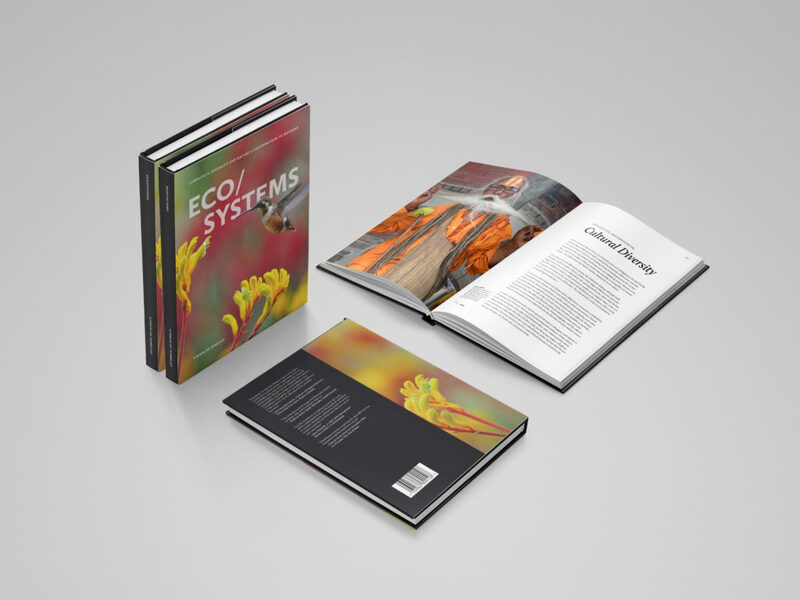 We began the design process by exploring book formats; creating a range of layouts on different sized pages, as this was the area in which our client was uncertain on what direction he would like to go in. We discussed the pros and cons of different formats, experimenting with landscape, square, and multiple portrait formats. We tried where possible to keep to standard book formats. We sketched layouts on paper, before translating these digitally, to allow us to generate compositions quickly and efficiently. After showing these to Stanislav, he was certain of one thing: he wanted to use a whole double page spread per image and wanted the book to be portrait. We used this to inform the decisions to follow. Stanislav’s photography varied, but the photographs were mostly 3:4 in proportion, so we worked with this to develop our layout concept. Originally, Stanislav wanted each photograph to occupy a spread and be as big as possible on each page, preferably bleeding off the page. His explanation for this preference was that he did not want some photographs to be seen to have more importance than others. His preference for full bleed images was a worry to us; we believed many of the images required captions and without captions, the book would soon get repetitive and uninteresting. 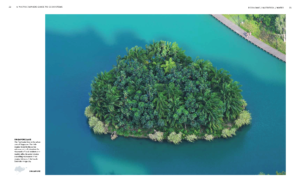 We proposed a different solution that allowed for the introduction of captions with a flexible layout to add interest from spread to spread, that solved this issue to a certain extent. However, we were aware that having images span across a spread could result in some of the photograph being lost in the binding. To accommodate for this, we had to carefully consider which images were chosen and where to include them. 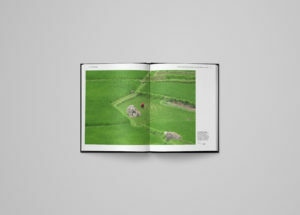 This proved a challenge when designing a book heavily photography based. Image selection was fundamental to the effectiveness of the photobook, and this was something that occupied a large amount of our time. Stanislav had a few images that were to be essential to each chapter, but many were still up for debate, and with hundreds of images to choose from for each chapter, it provided a real challenge. Originally, Stanislav wanted us to select from his images ourselves, choosing what best represented each chapter, whist still being a ‘beautiful’ photography. However, after realising we had different opinions on this, we thought it best if to do this together, which led to lengthy meetings discussing the best and the most important photographs to include. In retrospect, it would have been helpful for us, for the client to have chosen these images in advance of the project and not leave it mostly down to us. Once the photographs for each section had been chosen, and the text provided, the main job was inserting each photograph and its caption in the correct order. Although, at first we thought this would be an easy task, it proved to be a lot more time consuming than we had imagined, and this is where we encountered the most problems. 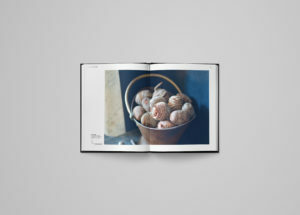 Each individual page contains a photograph with a caption alongside it, and every chapter opens with a photograph, a caption and an introductory passage that is about a page long. Maps were also designed and included to give geographic context to each image, proving another element to be created. Overall, a very time consuming process, which required lots of toing and froing between the client and ourselves, selecting images, organising captions, copy-editing and photo fixing. 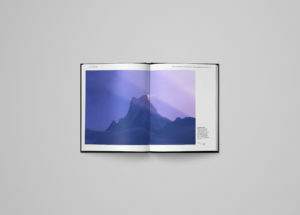 Feedback from Stanislav and his connections, as well as the real jobs team was invaluable throughout this stage, enabling the photobook to progress to where it is now. 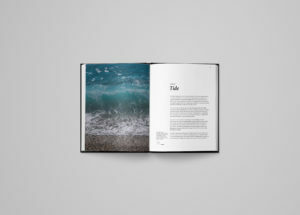 With over 300 pages in the photobook, and the deadline just around the corner, we are set to finish on time, with only a few final checks to complete and a final hand-over meeting with our client. Over the last six months, we have had both challenging and rewarding moments, and it is finally nice to see it all coming together. It is sure to be an invaluable addition to our portfolios, and we are honoured to be apart of such an immense editorial project. 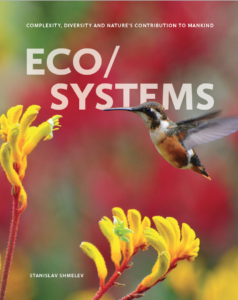 We have gained knowledge in ecosystems and the world we live in, developed skills in copy-editing and in handling word and image. 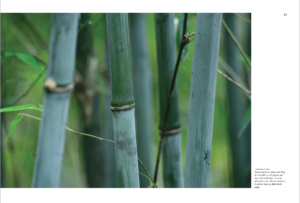 We have experienced working with large amounts of photography and text, improving our organisational skills. Finally, we pride ourselves in our good client communication, and without the excellent working relationship we have developed with Stanislav and ourselves, this project would have never been finished in time. This project will no-doubt improve our future projects, university and beyond.